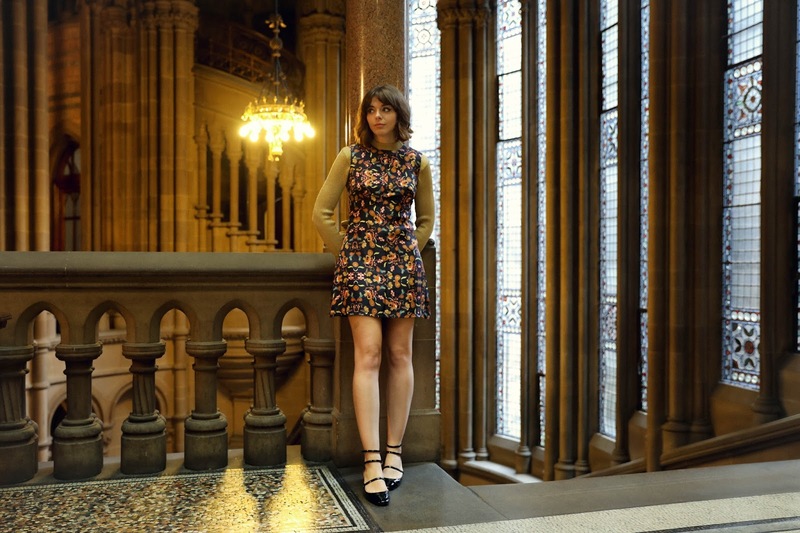 A couple of weeks back I had the pleasure of meeting the lovely Isabelle of Isabelle Fox clothing, we walked around Manchester, discussing clothes, life, being mutual northerners and she explained to me all about how her wonderful label came to be. Her clothes are TO DIE for and that's only at a glance on the website! In real life it's plain to see the love and attention to details that goes into this wonderful little creations, making them just that little bit extra special. The clothes are all made in England, designed by Isabelle herself, with all material sourced by herself and the patterns all cut by her Grandmother!... Seriously this girl is a serious power babe (as is her talented Grandma) and I couldn't help but feel in complete admiration of what she had created here. Just to be clear building a fashion brand successfully and having it all run smoothly is, to put it mildly- hard work, but to do it all on your own? Woozier, hats off! The clothes are made from THE most beautiful silk fabric which FYI if you're sit at a desk all day, is a god send because it does NOT crease... Hallelujah! And that's the nice thing about Isabelle's clothing, yes they're super special but they're so transitional from day to night and summer to winter, they are simply, classics or investments pieces if you will. I had the easy peasy task of styling some of her pieces, they pretty much style themselves. 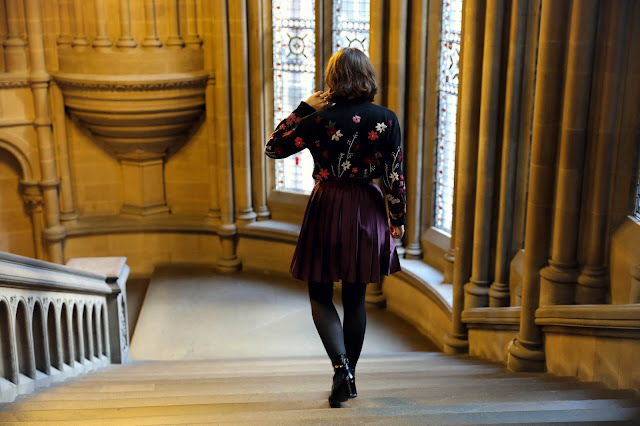 I chose the Edie skirt in a beautiful deep aubergine and teamed it with a thick chunky jumper from French Connection with matching floral embroidery... I'm a huge fan of winter florals; bold colours in flamboyant designs, there's something a little grand about it. I'm especially thrilled by all the oriental style prints we're seeing in the shops at the moment, ideal for teaming with christmas party sparkles I'm telling you! The other item I picked out was the Jean dress which I teamed with a gold turtle neck underneath for a seasonal take on the sixties mod vibe. This look has real vintage inspiration but as I'm sure you've learned by now thats just the way I like it. The dress itself is cut incredibly! I don't know about you but as a rule I tend to avoid shift dresses for the simple fact they all tend to be a tad shapeless however this little dream fits like a glove and I pinky promise it's so so SO flattering... I'm holding out to wear it in summer with a less pasty leg colour *looks down at my legs in distain*.